CLEVELAND (AP) — Indians manager Terry Francona is bracing for a lump in his throat and maybe a tear or two. He's going back to Boston. CLEVELAND (AP) — Indians manager Terry Francona is bracing for a lump in his throat and maybe a tear or two. He’s going back to Boston. For the first time as an opposing manager, Francona will walk into famed Fenway Park to face the Red Sox, the team he led to two World Series titles during eight seasons. Francona, who was let go after the Red Sox collapsed in 2011, said he hasn’t given much thought to his homecoming, but he’s certain it will conjure up some memories. Francona returned to Fenway in 2012 when he was working for ESPN. But this time will be different because he’ll be wearing a uniform, and the 53-year-old made it clear that although he’ll forever be remembered for what he helped the Red Sox accomplish, he’s Cleveland’s manager. Francona said he hasn’t considered what kind of reaction he may get from Red Sox fans, who welcomed him warmly when he took part in Fenway’s 100th anniversary ceremony last year. With Francona as their manager, the Red Sox ended an 86-year drought by winning the World Series in 2004 and then won it again in 2007. Indians pitcher Justin Masterson, who played parts of two seasons for Francona in Boston, hopes Red Sox fans show him deserved love. Masterson has seen Francona’s emotional side, and he expects his manager to be moved by the experience. Francona said he has become more emotional as he’s gotten older. 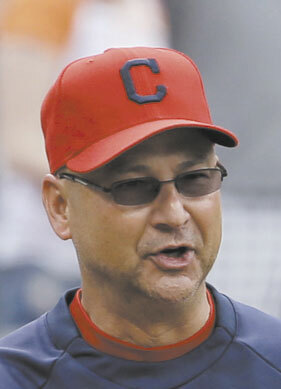 When first baseman Nick Swisher called to tell Francona that he and his wife were about to have their first baby, the manager got weepy.